My in-laws used to get nervous that they gave me too many books as gifts, that I’d get tired of them. They have learned by now that nothing makes me happier, and they’ve joined my own family in helping me build my library every year. And this year, the selection of books I was given was pretty astoundingly good. Some of these were on my own wishlist, some of them were given with great thought and care, and one of them was a gift to myself. Quilting Modern:Techniques and Projects for Improvisational Quilts was on my wishlist that I was really excited for, andInstinctive Quilt Art: Fusing Techniques and Design (right) was from my in-laws. 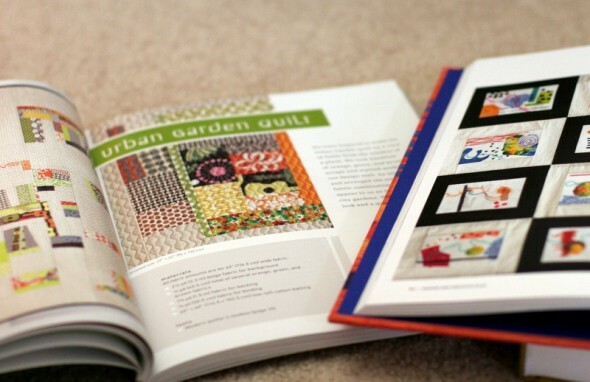 And it has the most amazing, vivid art quilts in it. Both books really focus on free form, go-with-what-you-feel quilting, so maybe this is the universe telling me to just start cutting and sewing this year. Felt Mistress: Creature Couture is an insanely strange and sublimely cool find from my brother-in-law Thomas. The Felt Mistress is heretofore unfamiliar to me, but apparently she is a force in British fashion, toy design, puppetry, and window displays. 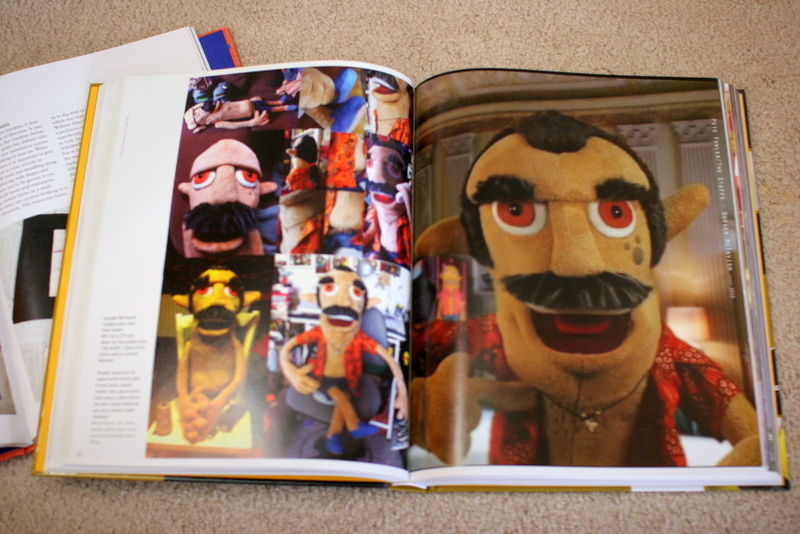 This giant art book details piles of her original stuff and her work with Jonathan Edwards creating some of the most awesome felt creatures I’ve ever seen. This is one of those fabulous, only-available-in-Britain treasures that I could spend hours upon hours poring over. And to add to my ever-growing arsenal of food tomes are The Homemade Pantry: 101 Foods You Can Stop Buying and Start Making, this great resource that explains how to make everything from pop tarts to ketchup at home in your own kitchen. The feeling is more retro Home Ec than depressing preservative-free food Nazi, and that is infinitely cooler and more accessible. 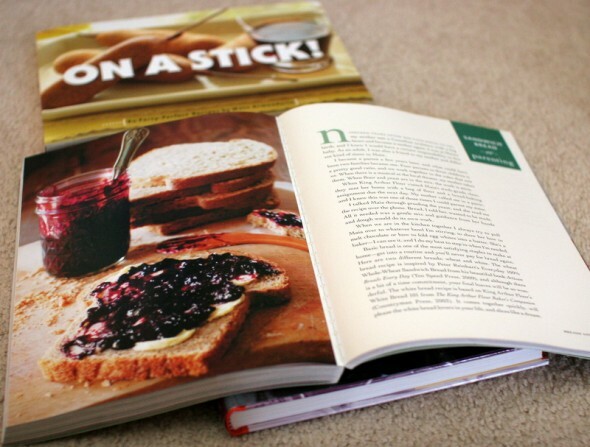 I also got On a Stick to add to my party food collection and Jam On: The Craft of Canning Fruit. This one was actually written by a girl who was in the graduate Library and Information Science program with me at Pratt. We didn’t know each other, but Laena McCarthy is one of those faces you remember from the halls and somehow end up Facebook friends with. So I knew she’d become kind of this legendary artisanal jam maker in Brooklyn, which is very cool in and of itself. But when I found out she was publishing a book about jam at the end of the summer when I discovered this art form I got REALLY excited. 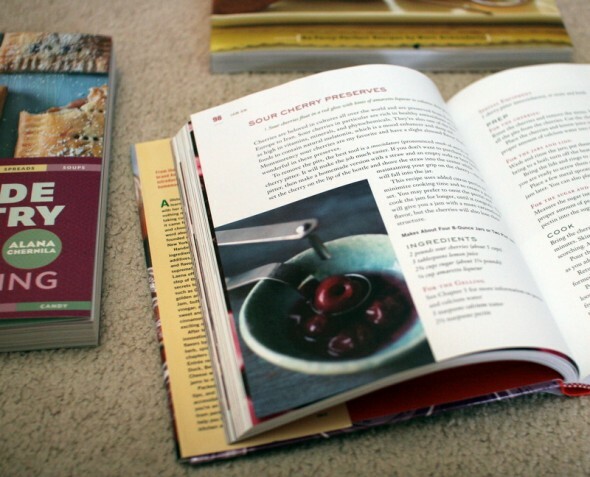 All of the food books were on my wishlist. 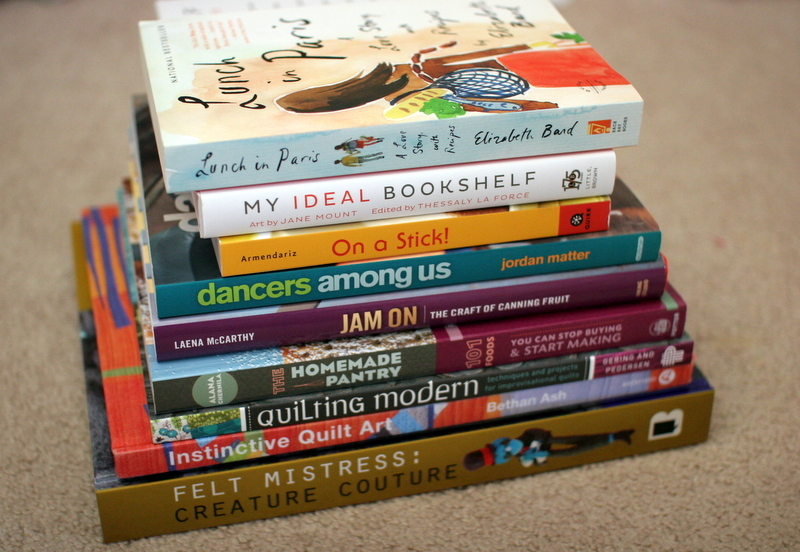 My Ideal Bookshelf is also one from my wishlist. Again, I’m a little obsessed and plan on spending hours poring over this one. 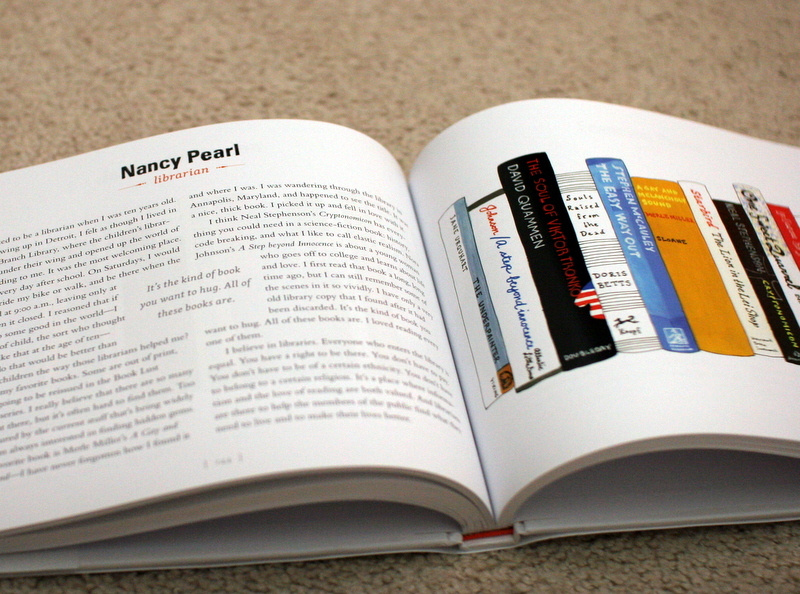 The title is pretty self-explanatory, but any book that includes the favorite books of James Franco AND Nancy Pearl Librarian Extraordinaire in the same book is perfection. Plus, the bookshelves are illustrated. Very cool. 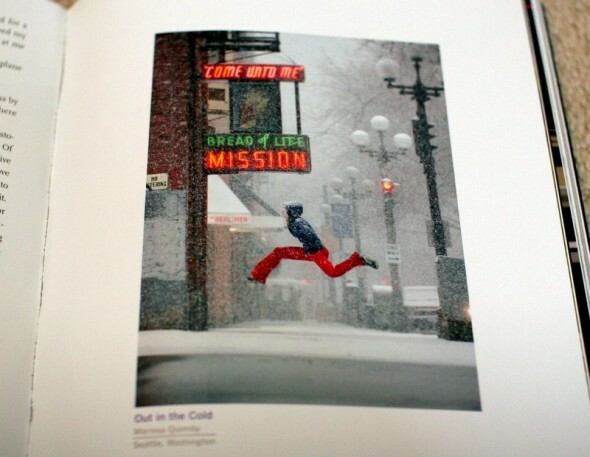 This is the ultimate, cure-a-bad-day book of photos. Pure joy, and I love every page. We have 3 students from my school all battling relapsed leukemia, and the one I’ve taught the most (her mom is a teacher in the building) just went back into the hospital in December. She’s in 3rd grade, so I sent her a copy of Hugo Cabret, the next 2 books in the Bone series after the last one she checked out of the library, and this book for her whole family. I may send this book to everyone I know from here on out that could use a smile. So, all in all I’d say this was one of my best hauls of books ever. I’m kind of over the moon.